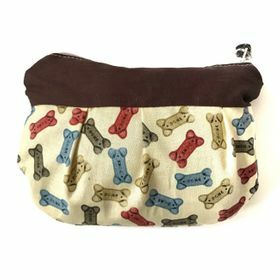 Dog themed fabric pouches, great for holding your small loose items such as change, makeup, etc. Measures approximately 7"x5". Zipper closure, fully lined, comes with a zipper charm pull.